When is a Fade used? The effects in golf are usually used depending on the pattern of the holes, the positions of the flags on the green, obstacles such as trees or lakes and the conditions of the course (hard, soft and wind). 1. Draw a dogleg to the right. 2. Attack a flag placed to the right on the green. 3. 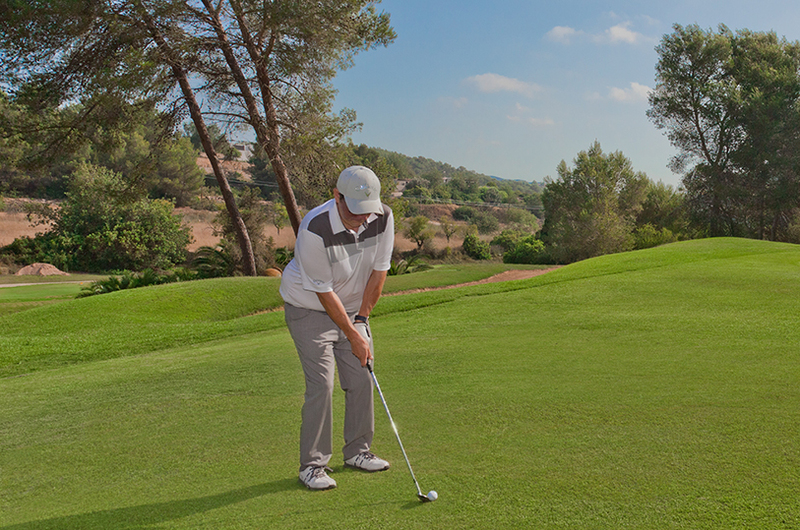 A fade allows the ball to slow down better, therefore, we also use it to attack a green that is hard or downhill. How do you get the fade? It is achieved by placing the ball slightly at the left foot and having the club face slightly open with respect to the objective. Having the ball on the left foot will give us a swing line to the left of the goal. The slightly open face will give us that effect in which the ball will end in the objective, from left to right. 1. The follow through of the club has to go to the left of the objective. 2. The face of the club to be oriented to the right of the impact. The mixture of these two factors is what allows the ball to come out of the stroke on the left of the objective and to have the curve to the right. There are several ways to achieve these two technical points. The most classic would be facing with the whole body to the left of the objective, aiming the club face at the objective with the ball a little more forward in the stance. The most important thing once we are in our stance is to make our swing towards where we aim; in this case, to the left. With these two simple modifications, it is enough to make a nice fade. This type of stroke, as we always comment, can be executed with a very good base and training. Good golf and see you soon!